Dr. Leissinger is currently Professor of Medicine, and Clinical Professor of Pediatrics and Pathology at Tulane University, and is Chief of the Hematology/Oncology Division. She is also Director of the Louisiana Center for Bleeding and Clotting Disorders. 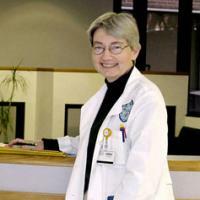 She is a fellow of the American College of Physicians and a member of the American Society of Hematology and the International Society on Thrombosis and Haemostasis. She currently serves as the president-elect of the Hemostasis and Thrombosis Research Society. Dr. Leissinger received her medical degree from Tulane University School of Medicine in New Orleans, Louisiana. She completed a residency in internal medicine at Tulane, a research fellowship in hematology at The National Institutes of Health in Bethesda, Maryland, and a clinical fellowship in hematology and medical oncology at Tulane. In addition to caring for patients with coagulation disorders, Dr. Leissinger oversees an active research program that receives funding from the National Institutes of Health as well as numerous other federal and industry sources. She participates in several clinical research groups, and has been an active investigator for many research studies related to bleeding disorders, with a particular interest in Factor VIII inhibitor development and management. 1. Leissinger C, Josephson C, Granger S, Konkle B, Kruse-Jarres R, Ragni M, Journeycake J, Neufeld E, Marder V, Assmann S, for the RICH Study Investigators. Rituximab for the treatment of inhibitors in hemophilia A: A phase II study. Thromb Haemost. 2014 Jun; 12;112(3). 2. Leissinger C, Carcao M, Gill J, Journeycake J, Singleton T, Valentino L. Desmopressin (DDAVP) in the management of patients with bleeding disorders. Haemophilia. 2014 Mar;20(2):158-67. 3. Gringeri A, Leissinger C, Cortesi P, Jo H, Fusco F, Riva S, Mantovani L, and the ProFEIBA Study Group. Health related quality of life in patients with haemophilia and inhibitors on prophylaxis with an anti-inhibitor complex concentrate (AICC): Results from the ProFEIBA Study. Haemophilia. 2013 Sep;19(5):736-43. 4. Leissinger C, Gringeri A, Antmen B, Berntorp B, Biasoli B, Carpenter C, Cortesi P, Jo H, Kavakli K, Lassila R, Morfini M, Négrier C, Rocino A, Schramm W, Serban M, Uscatescu M, Windyga J, Zülfikar B, Mantovani L. Anti-inhibitor coagulant complex prophylaxis in hemophilia with inhibitors. N Engl J Med. 2011 Nov;365:1684-92. 5. Leissinger C, Cooper D and Wilke C. Assessing the impact of age, race, ethnicity and inhibitor status on functional limitations of patients with severe and moderately severe hemophilia A. Haemophilia. 2011 Nov; 17(6):884-889. Dr. Leissinger participates in several clinical research groups, and has been an active investigator for many research studies related to bleeding disorders, with a particular interest in Factor VIII inhibitor development and management.